Plantation Golf Estates is a community located in the heart of Plantation, Florida. These are single family homes on the lake, canal or on the Plantation Preserve golf course. Most homes have pools and have between ½ and 1+ acre of land. They were built between 1956 & 2015. Click on the video below. Sherry introduces you to the lovely neighborhood of Plantation Golf Estates. Take a listen and you’ll learn why this is a great place to live in Plantation. These homes offer 3 to 7 bedrooms and range in size from 1569 sqft to over 6400 sqft in living space and have various home designs and price points. In June 2018 these Homes for Sale in Plantation Golf Estates, Plantation, FL have had a median listing price of $489,000 and a price per square foot of $188. 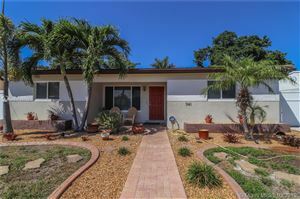 There were 9 active homes for sale in the neighborhood and these homes for sale in Plantation Golf Estates stay on the market for about 60 days. Two homes sold in May 2018 in Plantation Golf Estates and is home to approximately 475 people. When are looking to buy or sell a home call (954) 999-5207 for the local experts who are ready to answer your questions about properties, neighborhoods, schools and the newest listings for sale in The City of Plantation, Florida. Let us sell your home for you and we help you get the highest price in the shortest amount of time. Great Plantation Golf Estates Homes For Sale in Plantation, FL | (954) 999-5207. Gorgeous Golf view homes with exceptional value on tree-lined avenues. See something that you love? Call (954) 999-5207 to set up a showing today.